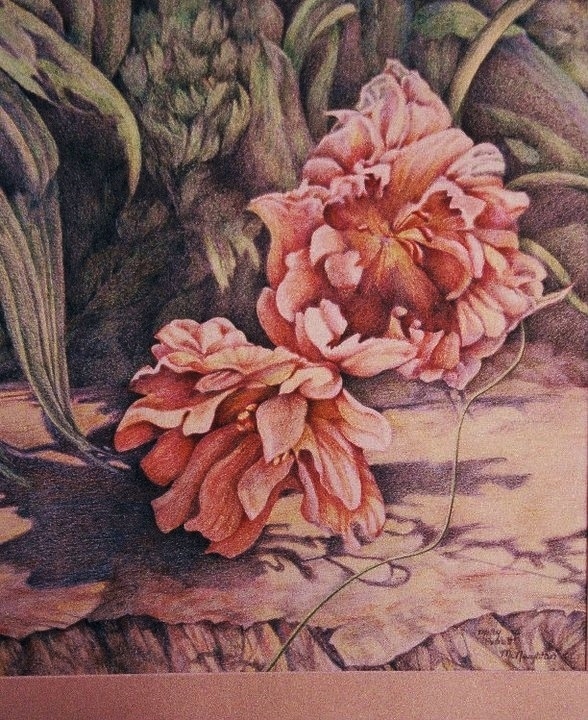 I’m re posting a color drawing I completed a few years ago of a cluster of peonies casting shadows in the garden. I love how the flowers get so loose just before coming apart and provide even more interesting shadow shapes. You are currently reading Peonies in the Shadows at Dr. Mary McNaughton and Drawing.